Unlike other organs such as the skin or liver, the support systems of these regions fail to re-assert themselves at the site of damage, leaving the functions they were once associated with, affected in the long-term. However, a new type of biomaterial developed at the University of California (Los Angeles) has been demonstrated to promote the re-growth of blood vessels and nerve cells when applied directly to a stroke-related lesion (or infarct). 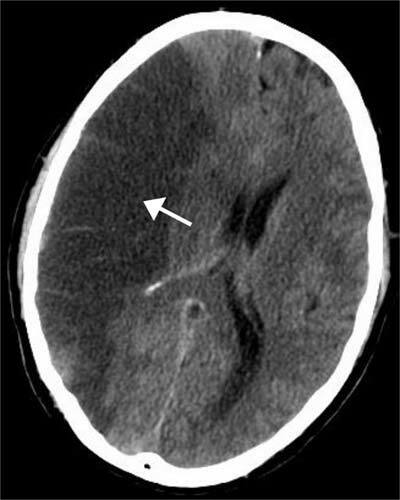 Patients who have experienced a stroke (an event in which damage to important blood vessels leads to a brain-tissue lesion and lead to impaired functional or cognitive status) may find it exceptionally difficult to recover and resume their normal daily lives. The reason for this could be because brain tissue does not repair itself as easily as other tissues. There is a range of factors at work in association with this phenomenon. A prominent example is the reduced ability of small but important blood vessels to grow into the ‘empty’ infarct-space where nerve cells (and their array of supporting cell types) have died. As a result, axons (or the functional ends of nerve cells) do not grow there either, as there would be limited supplies of nutrition and oxygen within the post-stroke region. This event can be prevented if the remaining blood vessels in and around such a site can be repaired and encouraged to grow in desired locations. One of the more promising emerging solutions for stroke patients includes the introduction of epithelial stem cells into post-stroke sites. These cells can be induced to develop into new blood vessels or patch up damaged ones (in a process known as angiogenesis), over time. However, it appears that this strategy also requires extra steps, such as the addition of specific microRNAs to ensure that the stem cells grow into the correct cell types and regenerative conformations. A paper published in the May issue of Nature describes another alternative solution. It may be more straightforward than stem cell-based therapies. The authors of the study claim that the use of this advancement could lead to the reinstatement of functional networks among new axons that have grown into stroke lesions. These networks are the basis for brain functions, including those that control the abilities that may have been lost or impaired following a stroke. This new potential treatment, developed by researchers from UCLA and Duke University, consisted of a single gel containing advanced biomaterials. These biomaterials have two main functions: to modulate the immune response within a stroke lesion (which may be responsible for the release of inflammatory molecules such as ROS in a disproportional reaction to damaged and dead cells in the brain), and to promote angiogenesis by providing a molecular ‘scaffold’ on which to build new blood vessels. Therefore, it exhibited the ability to induce new blood vessel growth in experimental stroke lesions induced in mice. The researchers reported that these infarcts contained new axonal networks at the 16th week, post-treatment. These results are encouraging and may help researchers attract additional support for expanded trials of their new biomaterial-based treatment. On the other hand, the scientists could not definitively conclude that the new networks were fully functional in their own right. It is possible that they were merely amplifying the activity of the pre-existing, healthy networks immediately around the lesions. In addition, the biomaterial gel requires a direct injection into such a lesion to function. So, this treatment may require invasive surgical procedures, assuming it successfully passes the clinical trial process and becomes a viable treatment for humans. Either way, the re-assertion of neural activity at a site affected by a stroke is positive news. 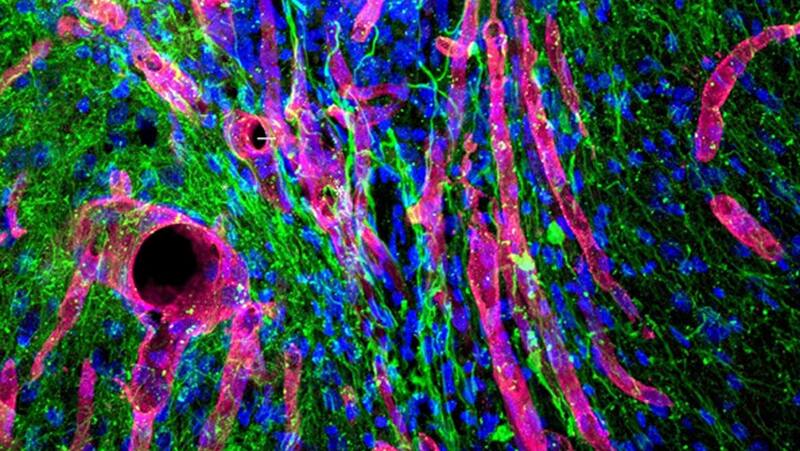 This study may represent a relatively simple treatment for stroke that does not require new cells, and thus, their genetic engineering to become ideal replacement tissues. On the other hand, it is not clear at this point if the results of the study, which apply to experimental injuries in mice, could translate to the larger, possibly more complicated, post-stroke lesions that affect human patients.